Symantec has launched a dedicated security application for Android devices, which protects the information stored on the mobile device, as well as the device itself. Norton Mobile Security 2.0 reportedly also comes with the latest anti-phishing Web protection feature that ensures protection from malicious and fraudulent content. The launch of mobile security application comes in the wake of growing need for vigilance, even while browsing the popular Android Market. “There has been unprecedented growth of non-PC devices in recent years, as consumers rely on these new devices to communicate and store their private information. From streaming their favourite music station, getting the high score hurling birds through the air and filing their taxes online, consumers deserve to feel confident regardless of what they do on their mobile phone,” says Gaurav Kanwal, Country Sales Manager, India, Consumer Products and Solutions, Symantec. One of the notable features of the product is to locate mobile devices. With the new security application, users can remotely lock lost or stolen phones, prevent strangers or thieves from accessing vital information. Following a quick initial set-up, users can locate, lock or wipe their Android device with a simple text message in the event of loss or theft. To help locate the device, Norton Mobile Security sends exact GPS coordinates of your phone's whereabouts, offering an increased chance of retrieving it. According to Symantec, the new features address the current situation faced by many Indian adults who have experienced losing or having their mobile phones stolen; 80 percent of whom feel that locking, wiping, and locating their mobile device are important features to have. The Norton Mobile Security for Android detects and removes threats, viruses and spyware from files, SD (Secure Digital) memory cards, and downloaded app updates. With regular update checks, it ensure that users have the latest, most-up-to-date protection without any effect on device performance or web browsing. 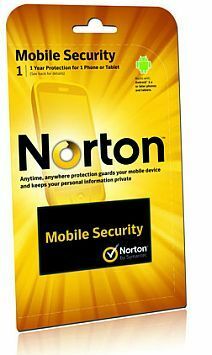 The Norton Mobile Security is available for purchase at retailers and telcos across the country at Rs. 599 for a single license. The price includes a one-year service subscription to use the product and receive Symantec’s protection updates. Norton has also released Norton Mobile Security Lite, a free security application for Android-based smartphones. NMS Lite comes with the anti-theft features with powerful anti-malware, giving users a sense of security in the event their phone is ever lost, stolen or compromised by malware. NMS Lite provides a worry-free and obligation-free opportunity to all Android users. The app also includes anti-malware feature, which scans all files and app updates downloaded to the mobile device and automatically detects and removes threats without slowing down the device. With automatic LiveUpdate, the security suite automatically downloads and installs security updates keeping the device secure. which software is used for Remote Login?